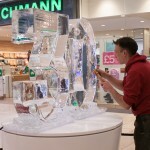 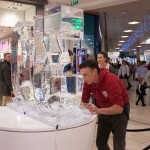 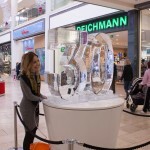 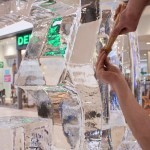 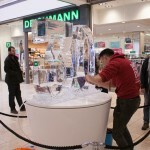 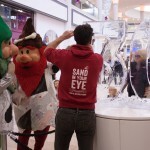 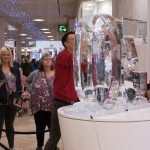 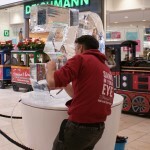 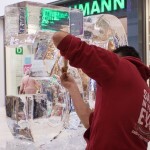 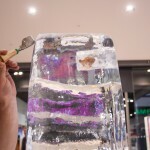 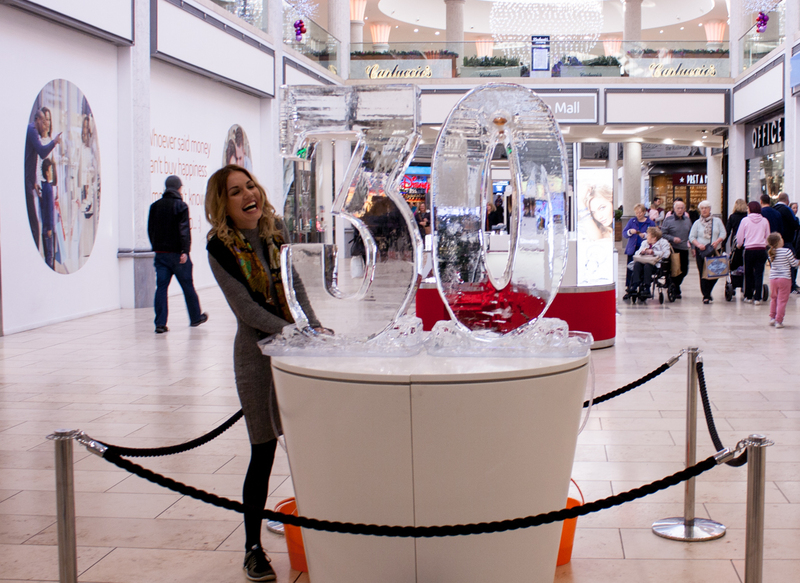 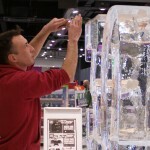 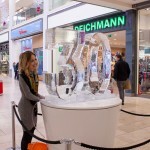 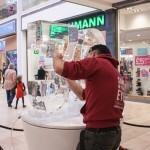 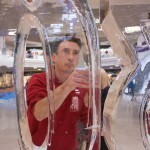 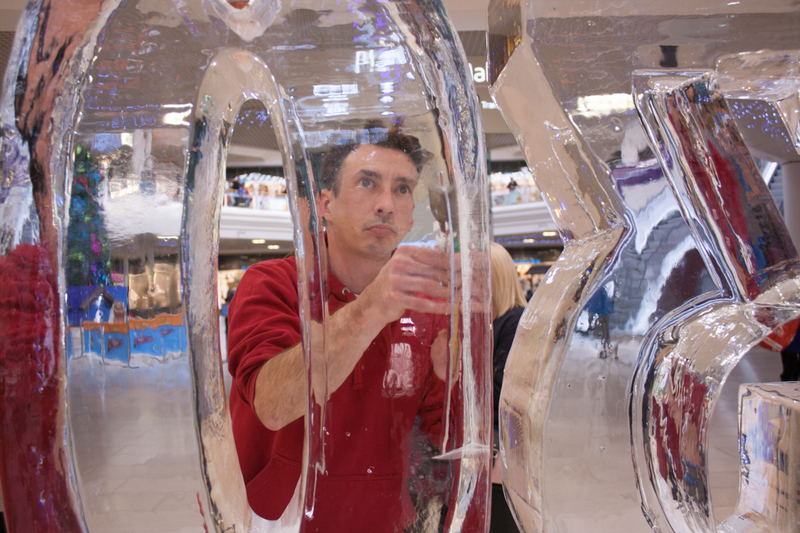 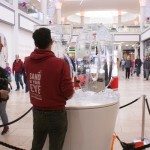 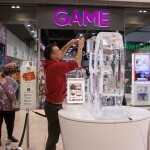 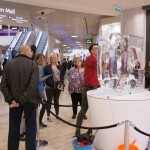 As winter draws in, we have been busy in the freezer and for our first ice sculpture of the season we were asked to make a big ‘30’ to celebrate the anniversary of the Metrocentre in Gateshead. 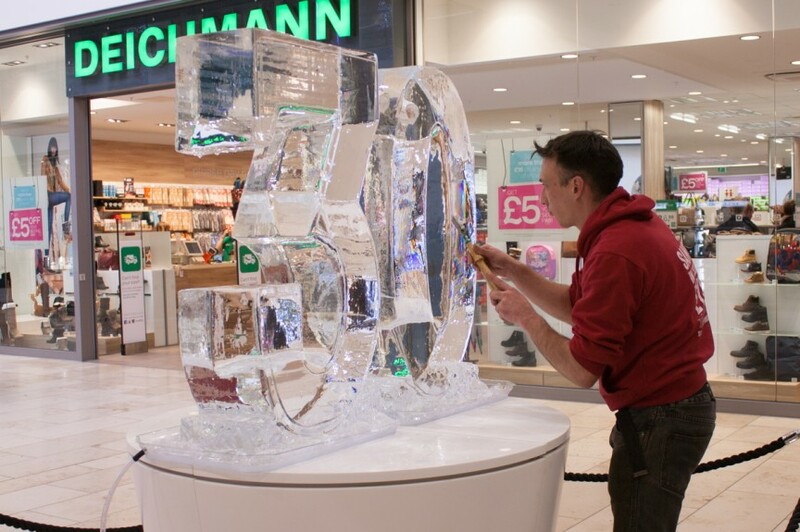 I carved the numbers in the workshop but they had a special request, to cast a jewel in the ice so that the person who guessed when it would melt out would win £1000 worth of jewellery! 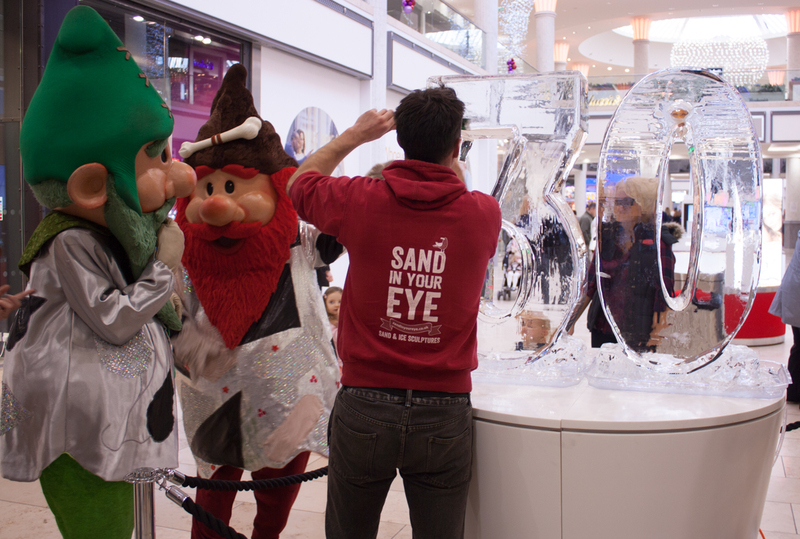 We wrapped them up and headed up to Gateshead bright and early picking up James on the way to help with the heavy lifting! 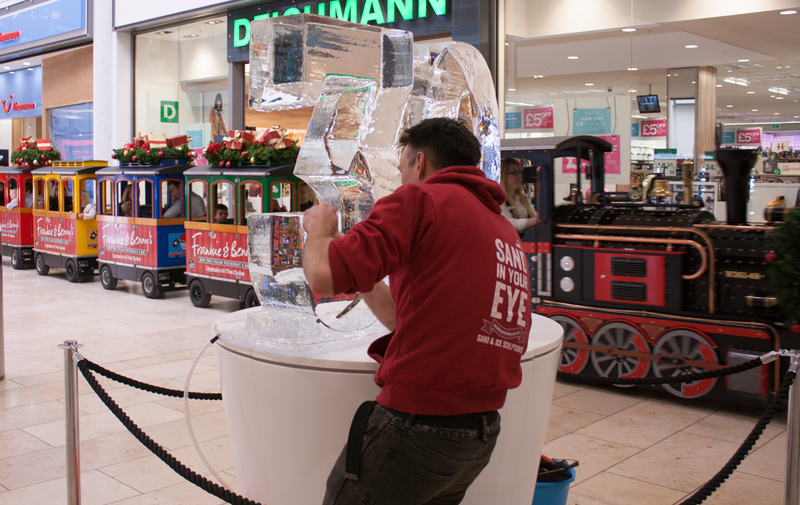 We arrived at 8am to get the sculpture in place with some help from Chelsea and the team at the Metrocentre and we even saw Santa on his train! 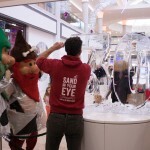 After the moving the ice, we headed for breakfast and had a look round Santa’s grotto and met some elves. 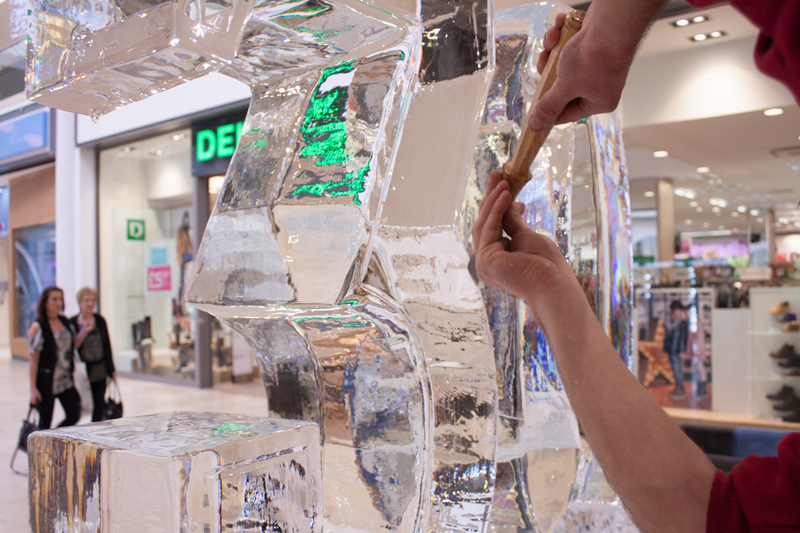 We did a little extra carving on site and then headed back as the centre as it started to get busy as they got ready for lights switch on. 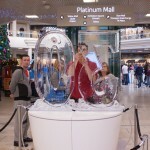 Thanks to all the friendly staff at the Metrocentre and well done to the lucky person who guessed that the jewel would fall out at 3am!